Meetings can be more effective in the right environment. Conference sets the tone for collaboration as it perfectly integrates with your organization. The right conference for your board room. 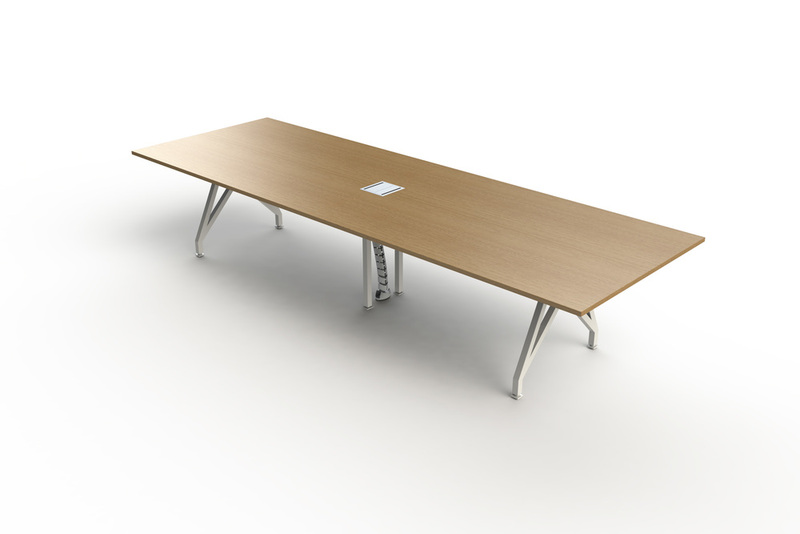 Conference tables can be configured to accommodate 8 to 40 people. Select from table surface options and customizable features and shapes. The durable and long-wearing Conference desk surface will stand-up to years of meetings, lunches, and late-night brainstorming sessions. Add a stack of BOLLA Core Task Stools and you'll be ready for unexpected guests. All-in-one Conference Table, Whiteboard Presentation Board! 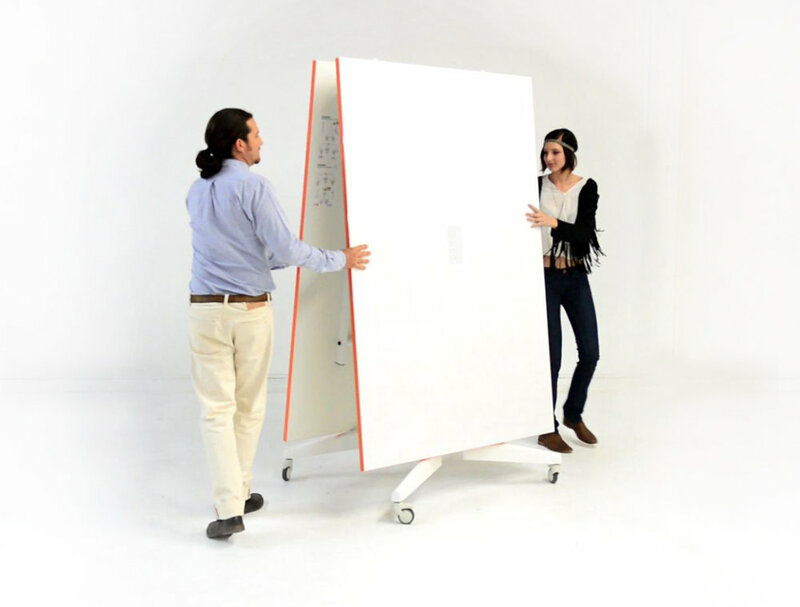 NOMAD integrates space-saving and flexible teamwork. 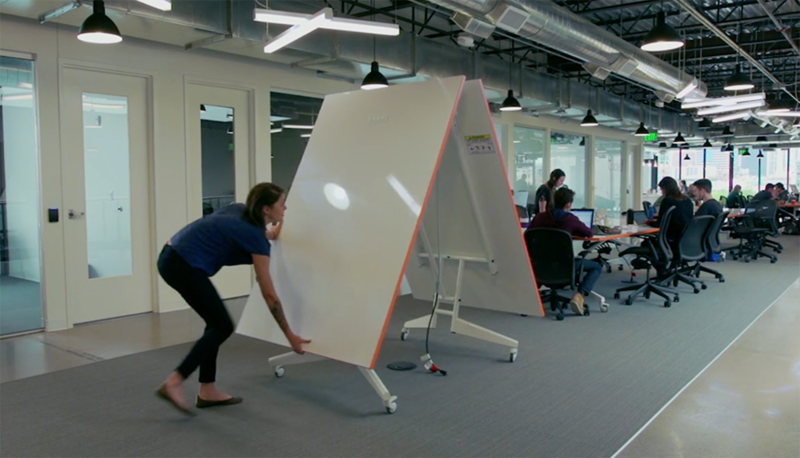 NOMAD can be folded and used as a mobile Dry Erase Marker Board. All-in-one Conference Table, Whiteboard Presentation Board, and regulation-size Ping Pong table! 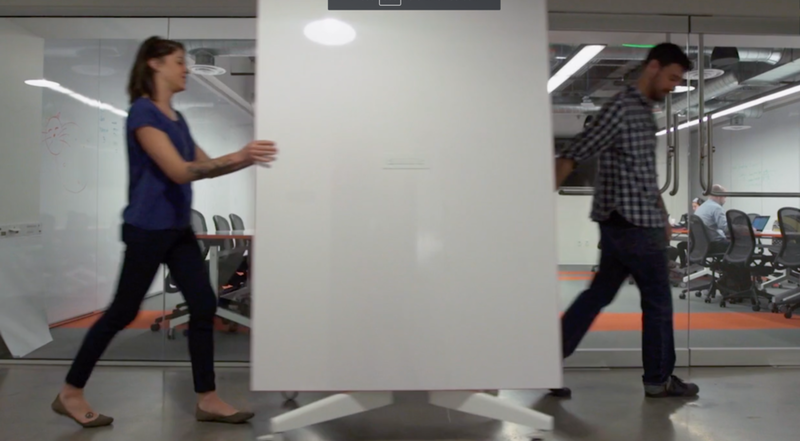 NOMAD Sport integrates space-saving and flexible teamwork. NOMAD Sport can be folded and put away. All work and no play... well, you know. A table tennis session between budget meetings and executive briefings can loosen things up, so we've created a snap-on net. Retractable ping-pong net, paddles and a ping-pong balls included. Game, set, and match. 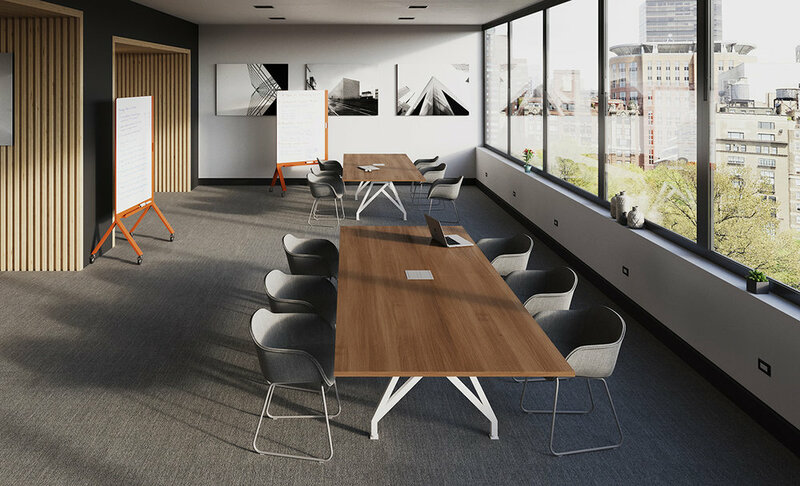 HOT SPOT is available in a a bar height or regular height table that encourages impromptu meetings and temporary collaboration. Standard size is 96" x 36". Kayak Conference gives you the feeling that people in the meeting are all in the same boat helping each other to get things done. Today, conference and meetings are becoming a progressively significant elements because teamwork and communication are essentially needed at work. ThinkTank accommodates a professional environment with a visually subtle design. ThinkTank TeleMeet is suited for companies with video conferencing requirements seeking a flexible and cost-effective, yet stylish solution. Portable Training tables where and when you need them. Nest and store, deploy and connect. Classrooms and conferences. Add power and daisy-chain multiple tables. Conference can be configured with various Power Modules to provide desktop access to power receptacles, audio/visual, and telecom options. All power units can be customized and are UL Listed and CSA Certified. Surface Mounted Units for quick charging and power meeting. Where we go, as do our laptops and smart phones. To be a workstations, a table needs connectivity. Scale 1:1 offers a complete line of power and data options that provide power where it's needed. Conference table power units add USB, Audio/Video, data and more.